Our team works tirelessly to build Magna’s businesses and provide our portfolio companies with the capital they need to achieve their objectives. Since day one our objective has been to be the most transparent, honest, and diligent investors in our marketplace, working as true partners to the companies and management teams we invest into. We regret Bloomberg’s attempt to marginalize these efforts by attacking our firm’s integrity and my personal character for the sake of a catchy headline. While we did not solicit this coverage, when the reporter reached out we cooperatively provided accurate information on Magna, our investments and our marketplace. Unfortunately, nearly all of this information -- including conversations with many CEOs of our portfolio companies -- was ignored in the final article. First, Magna provides strategic capital to support the business objectives of our portfolio companies; we do not engage in “death-spiral” financing. Every investment we undertake is priced and structured uniquely according to the risk profile of the opportunity assessed by our team. In November 2014 the industry-leading issuer protections we build into our investments were profiled by The Deal, a professional journal which extensively monitors our marketplace. We work to protect our downside where possible, as every seasoned investor does, but we always stand to benefit most when our equity positions appreciate in value. We never enhance our profit through a declining share price in any of our holdings. Period. Since Bloomberg presents Magna’s July 2011 investment into Pervasip Corp as “typical,” it may be instructive to look at the specifics of this investment when assessing our value as an investor. We invested $75,000 into Pervasip to provide critical working capital at a key inflection point in the company’s growth. We held our position for approximately nine months, slowly selling our equity over that period, representing a fraction of the overall trading volume. Between the time of our investment and our exit from the position, Pervasip’s share price increased by about 110%, yielding a significant increase in shareholder value. We are proud of these results and of the role we played in supporting Pervasip’s growth over this period. Second, Magna’s pre-investment due diligence process leads the industry and our portfolio companies are held to the highest regulatory compliance standards. Our portfolio companies, in turn, are held to the highest standards of regulatory compliance by their respective investment exchanges, including the New York Stock Exchange, NASDAQ, London Stock Exchange, and OTC Markets. These sophisticated international exchanges have rigorous monitoring and reporting standards, and we monitor every portfolio company closely to ensure they are fully compliant -- working swiftly to resolve any deviations if they occur. For the past six years I have worked passionately alongside my dedicated, talented, and creative team to make Magna one of the most exciting and entrepreneurial investment firms around. Our strategy is continuously evolving as we find new opportunities and better ways to support the objectives of those we work with. Together we have built Magna into a disciplined, fully diversified firm with three core strategic platforms, holdings on six continents, and nine distinct revenue-generating lines of business. We continually reinvest our profits into improving our organization, supporting our portfolio companies, and giving back to our communities. This will never change and we look forward to continuing to help our partners achieve their objectives for years to come -- always remaining committed to being the most transparent, honest, and diligent investors in the marketplace. Read more about why we invest. For media inquiries, please contact magna@edelman.com. For business inquiries, please contact info@magnainvests.com. What a commonplace question, right? You've probably been asked this question many times throughout your life, beginning when you were in middle school or high school and you had to really start "thinking about your future". You've probably been asked this question, or a slight variation of it, in countless job interviews, performance reviews or by people who you're casually chatting with. You've probably also listened to everybody who always told you to have a specific plan, or to write your goals for the future down, and likely have a pretty good answer for the question when asked -- maybe a mix of personal and professional -- something that sounds a little like this: "I see myself [insert two hierarchal levels up here] in the workplace, earning [insert double the amount of money I'm currently earning here] per year, living in a great house, with a great family and really enjoying life". Well -- that's all nice and good. But I'm here to tell you to stop planning like that, and stop immediately. I invested a significant part of 2014 in branding and marketing at Magna; honing in our identity both as a firm and personally and that process is set to carry right on over into the new year. When taking a step back and analyzing and defining the past, it's inevitable to look towards the future as well, for without a doubt, what you aim to strive in the future will provide valuable insight for defining the way in which you explain yourself today. I've been asked this question a lot in the past year, and frankly I'm sick of it. My answer is pretty simple: I have no idea where I'll be or where Magna will be in five years, and, I don't want to think too hard about it. The fact is, if five years ago I'd thought about where we were going to be today, we'd probably have made far less progress than we have. I would've vastly shortchanged myself in my self-effectuated pursuit of what I believed was entirely rational and ambitious yet still readily achievable. See, I believe in vision for the future, but not in planning in detail. If I had started Magna with a detailed business plan and budget and list of specific things to accomplish five years into the future, I likely would have been satisfied with accomplishing just that. My budgets and projections and details would have been "realistic" -- another word for safe and logical. But Magna's rise, and from my perspective, the rise of so many great firms; the Apple's, Google's, Facebook's and Berkshire Hathaway's of the world, have been largely illogical; incredible many would say. No MBA's 150 page business plan could have accurately demonstrated or predicted the meteoritic rise of any of these firms and should they have tried, would probably have been written off by professors and academics, even investment analysts as "overly optimistic" and "unrealistic". Instead of defining specific goals one would strive to achieve in five years, think bigger. Think broader. Develop a vision that is blanketed in grandeur and purpose. One that inspires you but doesn't and wouldn't ever hold you back from achieving personal and professional satisfaction but guides you in explaining to yourself why you'll accomplish whatever you may over the next five years. As for Magna, I have no idea whether we'll see success in real estate, technology or some other area of investing not even created yet, but that doesn't matter. What matters is my commitment to building a firm that matters, that is important and that we continually attach ourselves to and invest in the most exciting people and businesses that we can find. By pursuing that overarching ideal with unwavering passion and energy, there is no doubt that the next five years will bring something special, something largely unpredictable, but something exciting and gratifying nonetheless. Moral of the story: ditch the five year plan. Think bigger. Define purpose. Check in with yourself in 2020. You'll be happy you did. 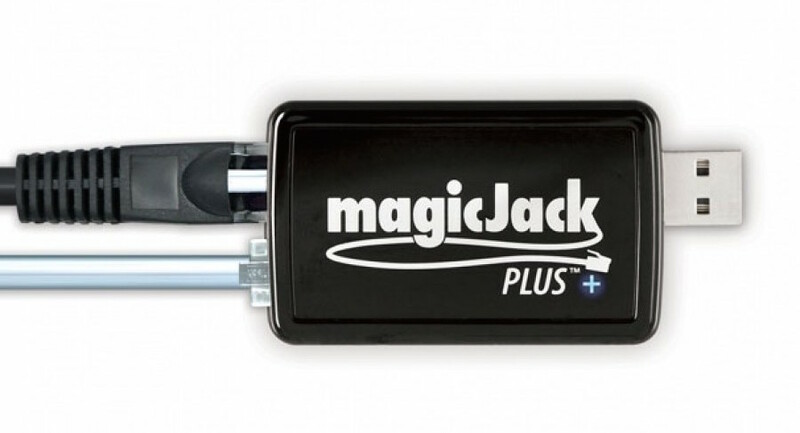 Photo: The above photograph represents Joshua's decision to purchase a MagicJack device (used to make standard phone calls through a computer) when launching Magna to avoid the price of a traditional phone line. In my view, there are two distinct ways one might go about running and growing a business, or on a personal level, a career. One of those ways is relatively shortsighted, driven solely by profit and financial success with very little focus on the external effects of that success. The mindset is essentially, "as long as I'm making money, I couldn't care less about how my process of doing so is affecting others" -- positively or negatively. Naturally, those who think and act this way are most often unconsciously pursuing this path, seemingly oblivious to the potential positive impact their personal economic success can have. They're not necessarily bad people or wrong in their thinking; just thinkers with an unfortunate case of myopia. The other way is exciting, it's refreshing and it's with a view focused on the long haul. It's about achieving financial success, but doing so in an ethical way, with an utmost motivation to make a difference, to help others and to do one's part in making the world a better place. This is what I like to call "Profit With a Purpose". At the early stages of building Magna, I could have decided to do what many others have done -- keep the infrastructure as small as reasonably possible and position our investments to make as much money as possible; rinse and repeat. How boring? How uninspiring? How much of a wasted opportunity would that have been? Instead, I chose to build. Of course, doing well on our investments has been the fuel that has allowed us to build the firm over the years, but from day one, I was committed to building something special; something that was bold and powerful and that could eventually effect serious positive change. I was determined to Profit With a Purpose. Without a doubt, the determination to build and create things comes with an increased level of risk. But those who have been at this critical juncture before understand that this underlying risk only fuels you, and those who believe in the greater vision within your organization to work harder and smarter, ultimately yielding exponentially greater levels of success and fulfillment. Today, I look back to the past and forward to the future with so much excitement about what we're building at Magna; how we're using our success not to pat ourselves on the back, but to reinvest heavily in our own company, in our communities through philanthropic endeavors and in exciting investment opportunities, partnering with some of the most exciting people I've ever met. I encourage everybody to take just a moment of time and think about who they really want to become. Commit yourself to success but also commit yourself to a purpose, to a mission; to something bigger than yourself that inspires you every day of your life. That greater purpose fuels the fire of my existence and once you find it, will certainly fuel the fire for yours as well. Earlier in the week I had the distinct honor of attending the first annual Forbes Under 30 Summit. Entering the Philadelphia Convention Center on Monday, excited about the list of speakers and panelists from all walks of life and industries, I can undoubtedly say that my expectations were far exceeded upon leaving the building on Tuesday evening. The youthful, entrepreneurial energy was beyond palpable amongst the crowd and everywhere I turned, I found myself amazed by my peers; fellow young entrepreneurs who were doing most exiting things. I kept thinking to myself, "where have these incredible people been my whole life?!" The speakers were also incredibly engaging, and props to Forbes for seeking out successful entrepreneurs and leaders both young and old who gave important anecdotes on their successes and challenges along the way. From Afrojack to Danny Meyer to the absolutely amazing 17 year old, Malala Yousafzai (who speaks with the poise, boldness and intellectual capacity of a 40 year old, by the way) inspiration was abound. The takeaway from the event was clear: entrepreneurship is alive and well here in the United States and around the world. The abundance of technology has yielded these times the most exciting and cost efficient to start a company and the promulgation of social media has made it simpler than ever to tell people about it. I am counting down the days until the 2015 Summit.